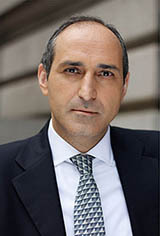 Souren A. Israelyan is a Queens resident of Armenian descent and a graduate of New York Law School. He immigrated to the United States in 1991 and taught himself English while working three jobs and attending evening classes. In law school, he was ranked in the top 15th percentile of his class and was also listed in the Dean’s List. After graduating in 2002, he worked for three reputable New York law firms handling personal injury matters before forming his firm in March of 2008, Law Office of Souren A. Israelyan. The firm handles matters involving serious personal injuries. We believe in the tradition of helping injured people to regain their dignity, rights and lives. Each person is unique and his or her cause presents unique challenges. We work meticulously on every aspect of each case to assure that those who have been unnecessarily harmed get the full measure of recovery, equal to the harm suffered, in our justice system. We prepare our cases for trial from the beginning. When corporations, insurance companies or government entities refuse in good faith to discuss reasonable resolution of our clients’ cases, we do exactly what we have prepared for – to stand up for the rights of the injured and give that person a voice in our justice system.